I am a previous employee of Semion Barbershop. And I use the term “employee.” Very loosely, because it certainly never felt like the typical give and take of an employee/employer relationship. But rather an alliance; both striving towards a mutual goal. I will start off by saying that my experience is entirely unique due to showing up at the right time in the right place, even though I was unknowingly “late.” To my first interview, I was still fortunate enough to have a chance at this grand opportunity. I was only 19 when I started and in retrospect, I can confidently say that I had no earthly idea what I was getting myself into. But I was young and had more than enough time on my hands, and if you know me, you would know that I am always ready for the next challenge. Without hesitation, I will jump into whatever obstacles lie before me. This has always been my redeeming quality, at least that’s what Semion said. With those combined; Time and effort, I believe is the formula to what gave me so much success. But it certainly wasn’t easy. And in all honesty, I don’t think Semion quite knew what he was getting into either. I mean, I mentioned before that I never gave up, but I didn’t say how many tries it took me to get it down. Because of this, you may have heard some stories about me before; his most difficult student. But no matter how many times I failed, his enduring patience was waiting to knock sense into me again. These “classes.” That I took I will say once more, are unique to the situation and timing of my entry. I was given a proposal, he would teach me everything he knows, But I only had three months to learn it all. Challenge accepted. The only thing I had as a currency? Time. Whatever time it took, I devoted myself wholeheartedly. I would work during the day, observing and asking questions, equally being tested at any given moment. Then the shop doors would close and class would start all over again, sometimes lasting ’till 2 in the morning. It was probably two and a half months later that a lightbulb went off, (and probably a sigh of relief from Semion.) all of the knowledge he had been pouring into my brain was now effortlessly flowing through me. There was no haircut I couldn’t do, no request was out of bounds. I now possessed the skills to flourish, both as an individual and a professional. All due to Semion’s investment in me. I will always look upon my years at Semion and cherish them. Not only did he show me how to be an outstanding Barber, but his teachings also helped shape and motivate me into the individual I am today. I try to apply the same amount of quality, humility, adaptability, patience, endurance, caring and open-mindedness through many aspects of my life. So my best advice to anyone wondering if they too should take the chance, please do so. But only if you honestly invest yourself. The benefits greatly surpass the risk, and the reward I can personally say will last a lifetime. I could write an essay about my time working for Semion and his brother Roman. In my fifteen years as a cosmetologist, they are by far the best human beings I’ve ever worked for. I had to retire, otherwise, I would still be with them. I always said that as long as I was doing hair, I’d never work for anyone else. Semion gets it; the industry, customer service, how he leads his employees, and his overall business model. They are the most diplomatic, understanding and empathetic shop owners I’ve come across. Do yourself a favor, take the leap of faith and find out for yourself. Working at Semion Barbershop is a dream. After being in this industry for 12 years I thought I knew it all and had seen it all. I started to look at all shops as if they were the same and just jobs. I was so wrong. I’m going to start by saying I learned more in a year at semions than I did the 11 years previously. The knowledge and experience Semion has he hands down to all of his stylists and barbers will change your career for the rest of your life. I look at my haircuts before I got there and look at them now and you wouldn’t believe the same person did them. It’s amazing! 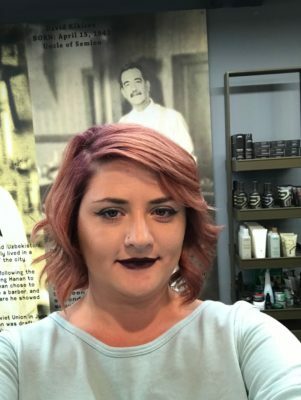 Secondly, I started at Semion as a cosmetologist with the dream of becoming a barber, and just never pushed myself to go back to school. I was settling. Roman pushed me to step outside of my box and really do something that would not only achieve a goal I had set but better my career in the long run and I have never regretted that choice. The amount of time they both put into their business and your career is unlike anywhere else you will find. I have so much gratitude towards them both. Lastly, it is a family owned barbershop and that’s exactly what you will get! I made some lifelong friendships while working here and every day I came into work felt like I was going to be with my second family. As someone with huge family values, this made coming to work everyday not feel like a job. I absolutely loved working with everyone and would jump at the opportunity to do so again. My only advice is to take every bit of knowledge and constructive criticism in and learn from it and don’t ever give up on your craft. 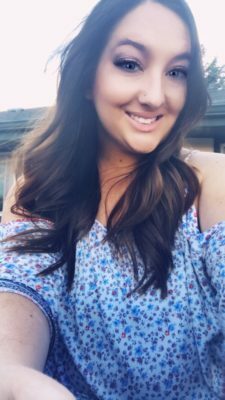 I have been in the hair industry for 8 years! Through my time in cosmetology school, I was told that I would make enough money to support myself just doing hair. I was put under the impression that this success would come effortlessly. My first job was at an Aveda salon. There were many people who were successful there, once again I was put under the impression that this success came effortlessly. At this early stage in my career, fresh out of cosmetology school, I was not ready to work at this shop. This shop was also not patient enough to see me through my training. I was let go for this reason. This was not only a relief because I knew I wasn’t in the right spot but it was also a huge blow to my ego. It was hard for me to even think about getting back out there and applying to other shops in the industry. A part of me was hurt and didn’t want to try again. But I still loved doing hair so I muscled through the loss and got a job working at Great Clips. This was my first very real experience working for a corporate company where I was just a number to them. I worked there for about 2 years. I was constantly pushed to be faster with my haircuts and to take less time in between clients. This was under the ruse that if I did this I would make more money in tips; as I was paid an hourly wage, not a commission on my services. This shop also took all creativity out of its stylists, an aspect all hairstylists are known for. 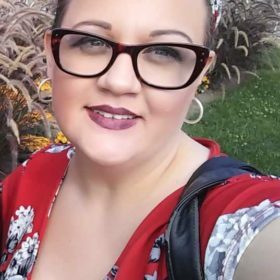 I was forced to wear a wig to cover my extreme hairstyle (an asymmetrical with the side shaved and black and blonde hair) and a long sleeve shirt to cover my tattoos. If I did not do this I would not have a job, I also would not have a job if I didn’t cut someone’s hair within 15 minutes and take 2 minutes in between each cut. After a year of being slave driven to produce more and more, I started to feel the edges of burn out. Then my grandmother died. I was not given time off to be with her in the hospital, I was barely given time off to attend her funeral or grieve properly. This pushed me a little further over the edge. Then I had to have surgery because I had a cyst on my ovary that was so large that if it ruptured I risked losing my ovary or bleeding out. It was a small surgery, I only needed two weeks off to recover. When I informed my boss of this I was told that because of my needing two weeks off to have surgery I would not be able to take my time off in the summer that I had asked for months in advance for two weddings I was asked to be a part of. That was the nail in the coffin. I was burnt out. I spent my time recovering from surgery looking for another job. It was also during this time I decided to start going to school for something else. I loved doing hair but so far 3 years into the industry and I felt I didn’t matter. I was just a number on a production line pumping out cut after cut with no creativity. I then jumped from chain salon to chain salon for the next 5 years while I attended school part-time. Never making enough to scrape by and never finding my passion again. I managed for a bit, hoping a new challenge would bring back my passion. It only made things worse. Then I found Semion. I was looking for a job not even in the hair industry. I was done at this point. I was ready to hang up my apron and shears and tread new waters. I was browsing the now hiring ads on Craigslist when I found Semion Barbershop was hiring. I had never heard of the shop but I did my research and was astonished at the name they had made for themselves. My first few months were rough. I went from being one of the best in my shop to realizing I was nowhere near close to being good. I was pushed every day to be better than I was yesterday. My fire and my passion came back to strive to be better than I was yesterday. My talent was nurtured by the best learning environment I could have ever asked for. Everyone in there was learning. Even the most talented, the highest earning, were always learning. And they were always willing to teach. To show someone else anything and everything they could to help them to succeed. Even with the amazing learning environment, there were times when I felt I was not cut out to do hair, that I would never be good enough that I was not talented enough. There were times I wanted to quit. But for the first time since I started down this journey into the hairstylist world I was excited to go to work the next day, I was excited about everything I was learning, I was excited to try out my new skills on friends and family, I even began posting pictures of my work on Facebook and Instagram. Something I never did before. I started working at the Stanley location. With every new customer, I saw a new opportunity. Everyone hates cutting children’s hair. But when you stop looking at everything that isn’t fun about it and start looking at it as an opportunity to do a great job, to make that child feel comfortable in your chair, to give that child probably the best haircut they have ever had (because let’s be honest most people don’t try very hard on a child’s hair, especially if they are kicking and screaming). It becomes a lot more fun to cut children’s hair. And when the parents see how great you did with them, suddenly their entire family starts going to you. And they start telling their friends and family about you. This is how I started to succeed in this industry. I stoped thinking success would just come to me and started thinking that if I wanted success I need to take it, I needed to take every opportunity that came my way and do the best that I could do. I needed passion and the drive for success. Something that I probably never would have gotten at any of those other shops. Now, I have almost finished college, in mental health counseling. I have built a great clientele that I am all too heart broken to leave. I don’t have any regrets but I am positive if I had found Semion Barbershop 6 years ago, I would have never enrolled in college. I have two passions now. Doing hair is my first love and will always have a special place in my heart. I will probably never give it up. Mental health counseling is my second passion, and my new path. My only advice is to take pride in every little thing you do, even if it’s not the best. You will never be the best. Take every opportunity and learn from it. Never stop thinking you have learned everything there is to learn. Don’t look at others’ success with envy, unless that envy pushes you to be better than you were. You may not ever be one of the rare hairstylists that brushes elbows with celebrities on a daily bases and makes in an hour what we bring home in a year, but if that is your dream push for it every day! Don’t let falls be fails, there will be many along the way let them guide you every day!